To help attract, retain, and motivate high quality staff by allowing them to have a stake in the company and benefit from its success. To foster a collective team spirit throughout the practice. To enable senior staff to be appointed to positions of responsibility entirely on merit, and without regard to their financial means. All MJP’s Directors serve three year terms and are elected or re-elected onto the Board by members of staff that have been employees for more than two consecutive years. Employee ownership helps share the reward and direction of our practice with its employees. This business model is now being promoted by government and is growing in popularity across the UK. MJP Architects Ltd is an active member of the Employee Ownership Association. 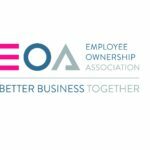 If you would like to know more about employee ownership why not visit the EOA website?